Come back to La Jolla! 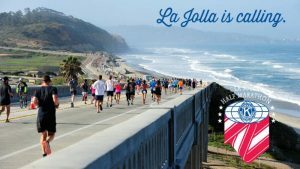 With amazing ocean views, an epic finish line at the La Jolla Cove, live entertainment, craft beer garden, finisher’s food bag, massages, finisher’s medals, technical fabric shirts and more, why wouldn’t you?! New medal challenges available now as well! Don’t miss out!